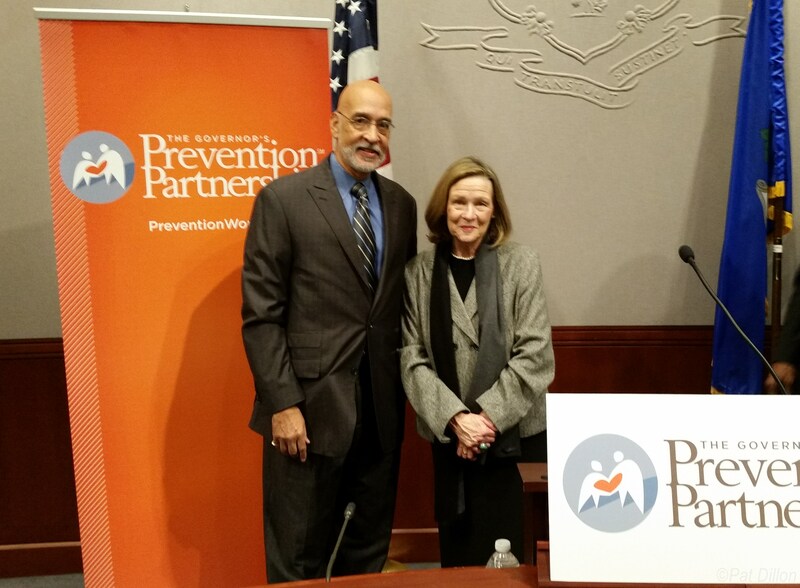 State Representative Patricia Dillon (D-New Haven) joined other legislative leaders and The Governor’s Prevention Partnership at the Legislative Office Building to highlight the Connecticut Mentoring Fund, a public-private fund that was created in 2014 to provide funding for youth mentoring programs to increase the number of youth served by the programs and improve the quality of mentoring program practices. The fund was created through an appropriation authorized by the Appropriations Health subcommittee, which is led by Dillon and State Senator Terry Gerratana (D-New Britain), and was matched with funding through the First Niagara Foundation’s Mentoring Matters program. It is administered through The Governor’s Prevention Partnership and managed by a five member independent advisory council. "Mentoring can give young people hope," Rep. Dillon said. "I was excited to learn that students in these mentoring programs did better in school. Right now two young people can make a mistake but in one zip code it’s difficult and you take time to recover and in another zip code you may go into a spiral with no hope of recovery. Justice and hope should not be rationed by zip code." One in three youth in Connecticut could benefit from a mentor, but don’t have one. The Fund awarded $71,000 in grants to 10 mentoring programs in eight communities across the state. These programs impact more than 2,000 Connecticut youth. The first round of grants were awarded in June resulting in 374 additional Connecticut youth being mentored; 100 new mentors being recruited; and 685 mentors receiving enhanced training to help better serve their mentees. Programs that received awards included the Boys & Girls Club of New Haven. There is currently a wait list of additional mentoring programs across the state who are working to strengthen program practices and have asked to apply for funding through the Connecticut Mentoring Fund; First Niagara Foundation has committed additional dollars for this coming year to support another round of funding. Quality mentoring programs lead to long-term meaningful relationships with youth which improves their educational outcomes and self-esteem; reduces juvenile recidivism; and creates greater connection and engagement in their communities.